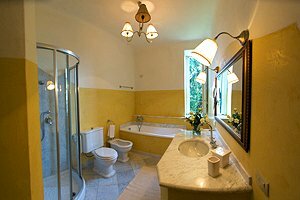 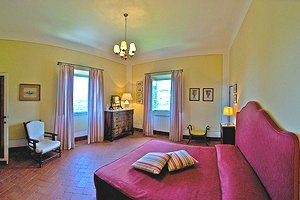 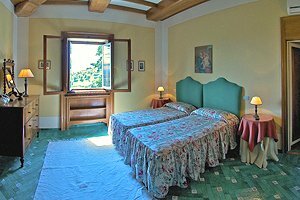 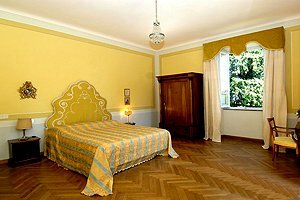 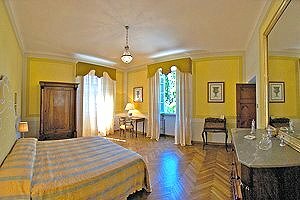 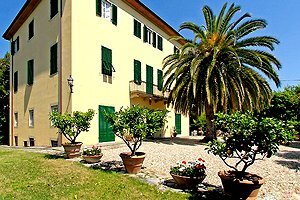 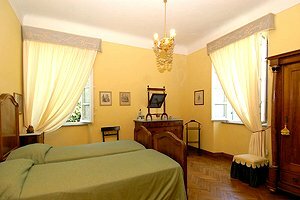 The villa is located near Lucca, at the centre of a triangle formed by the Apuan Alps, the mountains of Garfagnana and the beaches of Versilia. 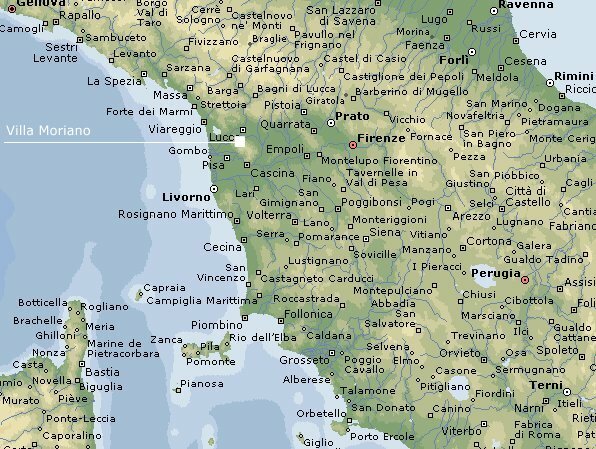 Lucca, Pisa, Forte dei Marmi, Viareggio, Lido di Camaiore, Volterra, Florence and many less-renowned but nevertheless charming medieval villages are within easy car distance. 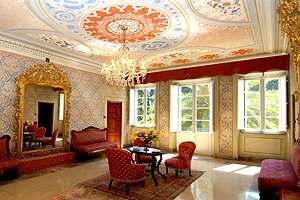 The elegant early-18th-century building stands in a 6-hectare estate surrounded by the olive groves that cover Lucca hills and dotted with cypress trees. 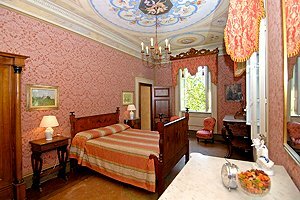 Guests are granted the exclusive use of the 1000-square-metre Italian garden. 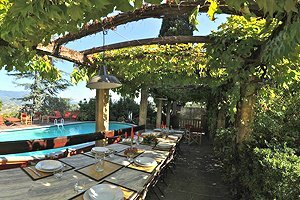 The private swimming pool (5x10 m; depth: 1.30 m) lies next to the external dining table and is directly accessed from the kitchen. 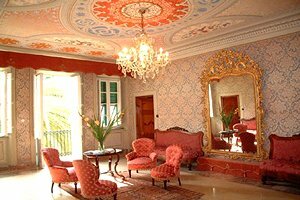 The luxurious holiday villa has been recently renovated with an eye to preserving its original structure. 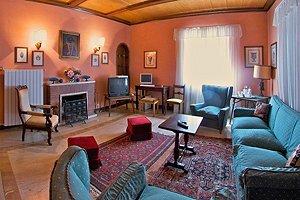 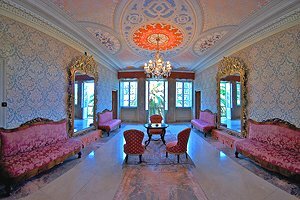 Furnished with a mixture of period and modern items, the villa is an excellent location for celebrating weddings and other events. 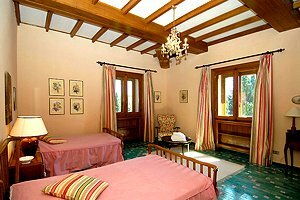 The villa sleeps 16 people in 4 twin bedrooms and 4 double bedrooms, and has 6 bathrooms and 1 half bathroom. 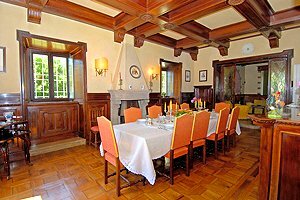 The ground floor composes of hall, kitchen, two living rooms (one with gaming table and bar), dining room with fireplace and a half bathroom. 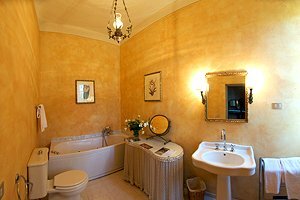 On the first floor are a living room, a twin bedroom with ensuite bathroom with shower, a double bedroom with ensuite bathroom with whirlpool bathtub, a second double bedroom and a second twin bedroom that share a bathroom with bathtub and shower. 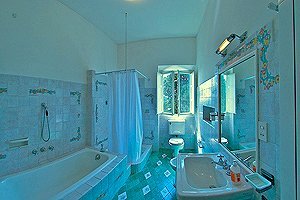 The second floor composes of living room, two twin bedrooms that share a bathroom with bathtub and shower and two double bedrooms with ensuite bathroom with shower. 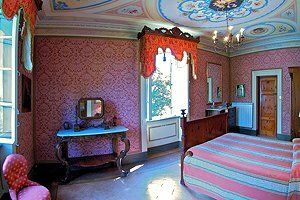 The four twin bedrooms may be converted into double bedrooms. 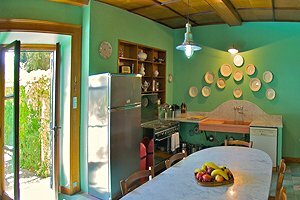 The villa is equipped with swimming pool, table-tennis table, barbecue, air conditioning, Internet connection, working fireplace, satellite TV, DVD player, whirlpool bathtub, oven, microwave oven, washing machine, dishwasher, cot bed and private car parking place. 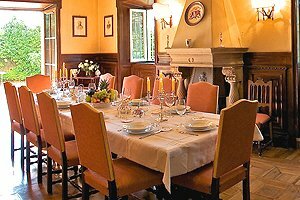 Maid, baby-sitting and breakfast services and a cook are available upon request. 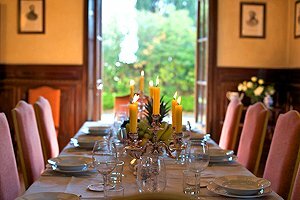 The villa offers also the following services: Tuscan cooking lessons, tour advisor, customized guided tours, private car with chauffeur, car/minibus rental, organization of pizza parties and concerts in the villa. 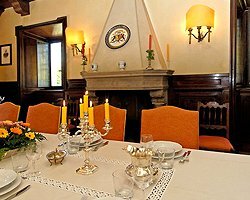 Restaurants, cafes and shops are in San Concordio a Moriano (4 km) and Lucca (6 km). 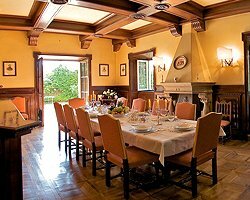 A tennis club, a riding stable and a golf club are within 10 kilometres from the estate. 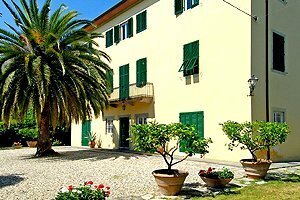 The beaches of Viareggio and Lido di Camaiore are within 30 kilometres from the villa.